Any XJ-S Fans on here? Sure am! I have a 1989 XJS 3.6 Coupe with the 5 speed Getrag manual gearbox ! Lovely car, slightly lighter than the V12 and only 50 bhp down. Cruises beautifully and can do 35 mpg when looked after. Signal red with magnolia full leather. Can't beat a big cat now and again ! and 40th Anniversary this Autumn ! Yes,definitely a fan of the XJS and the XJ Jags up to series 3, i just love em! Also a fan of the way Harry presents.Top man. Now,where are those brochures, .. .. .. somewhere! Of course back in 1980-81 the road tests always put a ur quattro in the same league as a V12 XJS as the ur-q was £14,000 ish and a Jag was about £18,000 at the time. XJS could blitz an ur-q on a dry road, but any moisture at all and game over the ur-q would wipe the floor with the big cat. Fuel consumption on another planet too. 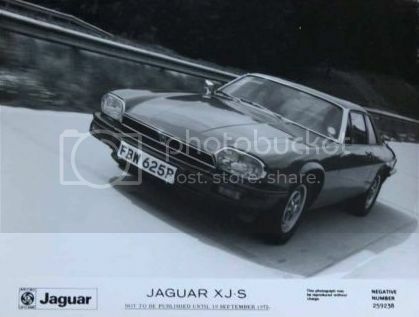 My uncle had a new XJS in 1978 and when really pressed it could do single figure mpg ! It is the early ones that I like, with the Kent alloys and black bumpers like the one in the clip. I think they look stunning. Yes, me too. Time to grab one before they silly price wise. 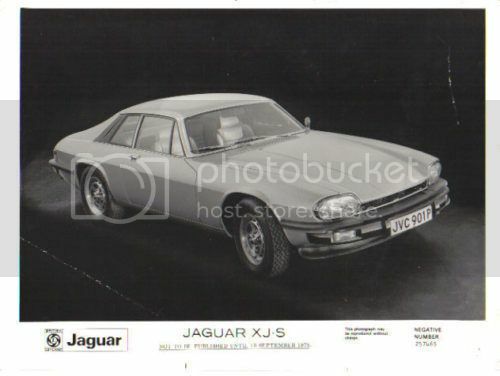 5 yrs ago you couldn't give a pre-HE XJS away, now they are creeping up to £10k and like ur-q's will soon be beyond sensible reach. Very nice. I like that a lot.